Kieran McGill is the President and CEO of Fadó Pubs Inc., a group of authentic Irish pubs headquartered in Atlanta, Georgia. Kieran and his partner founded the company in 1996, having identified a market for a truly authentic Irish pub experience in the U.S. The company’s pub interiors are designed and constructed in Ireland, and are installed in the U.S. by Irish craftsmen. The first Fadó opened in Atlanta in 1996 and quickly became known for offering the best of Irish beer, food, design and, especially, Irish hospitality. Kieran was born in Ireland and moved to the U.S. with his family in 1999 to run the business. 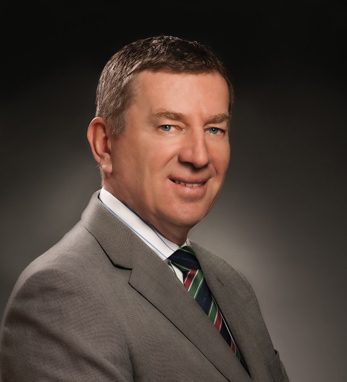 A Chartered Accountant by profession, prior to Fadó Kieran was CEO of the managing consulting practice of a mid-market accounting firm in Dublin. In many ways, Fadó was a return to his roots, as Kieran’s father owned a small pub in the center of Dublin. Fadó Pubs Inc. has two Irish pub brands, Fadó (Gaelic for “long ago”) and Tigín (meaning “small house” or “cottage”), and has fourteen locations in thirteen states across the country. The pubs have become focal points and social centers for the Irish and local communities in each of these areas. Fadó has been named a “Top Irish Pub in the U.S.” by USA Today, Sky magazine, MSNBC, City Search, and many local publications. Early on, Fadó started a partnership with St. Baldrick’s Foundation, a not-for-profit organization that funds children’s cancer treatments. In 2011, Fadó was St. Baldrick’s #1 corporate partner, hosting events nationally during the St. Patrick’s Day season that raised nearly $800,000. Kieran has been a member of a number of not-for-profit and industry boards and committees in the U.S. and in Ireland. A keen golfer, he lives with his wife, Louise, and children Laura and Stephen in the Morningside neighborhood of Atlanta.